Turmeric vs. Curcumin: Which Has the Most Health Benefits? You may have heard about turmeric — that glorious yellow spice often used in Indian cooking — is said to have anti-inflammatory properties. Did you know the reason turmeric works is due to a specific compound found within called curcumin? Turns out you can bypass the turmeric pills and grab curcumin capsules instead. Why would you want to? Let’s find out. Turmeric has a long history — its use dates back nearly 4,000 years. Used as a culinary spice and as part of some religious ceremonies, it has also long been used as medicine on the Indian subcontinent and in Southeast Asia. The spice itself comes from the rhizome of the turmeric plant (or its root) and contains a boatload of components, the most interesting of which are coloring agents called curcuminiods, one of which is curcumin. Turmeric (and by extension, curcumin) has been studied for its potential anti-inflammatory properties. Those who suffer from conditions such as rheumatoid arthritis, asthma, cancer, cardiovascular disease, irritable bowel disease, psoriasis and many more have turned to the supplement in hopes of finding relief, and several clinical trials have shown promise in these areas. 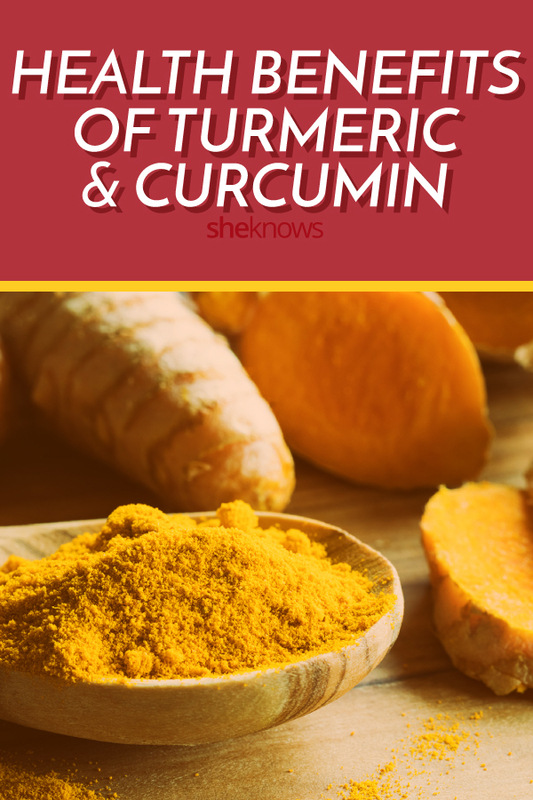 Of course, since curcumin is but a tiny component of turmeric, there is a difference between the two, especially if you’re hunting down supplements. 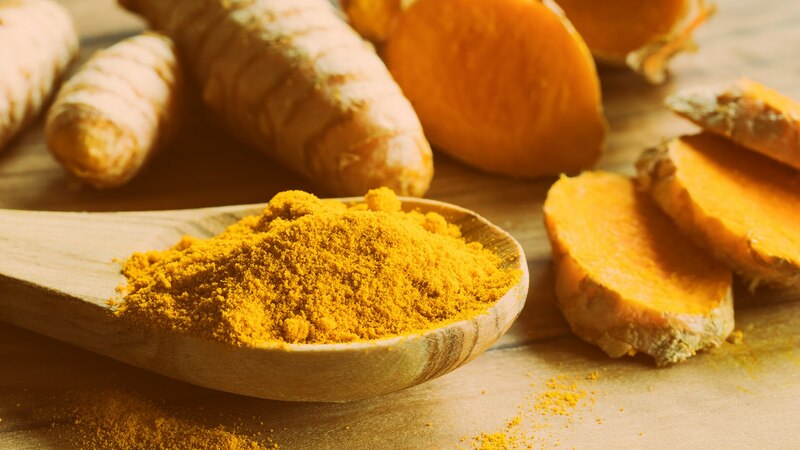 Dr. Josh Axe, founder of Ancient Nutrition and Dr. Axe, notes that by weight, curcumin only makes up about 3 percent of turmeric, and most of the studies that look at the benefits use an extract that contains a high concentration of curcumin. “Unfortunately, by just using a bit of turmeric here and there in your cooking, it would be nearly impossible to get the same amount used in these studies through your diet alone,” he notes. This, then, is the difference between the two. While they’re not completely different things, we’re talking about a whole spice (which is delish) and one component of it. Interestingly, taking curcumin by itself may not be the complete answer, either. Registered nurse Stacy Tucker, a nutrition expert, notes that the spice turmeric has other components that can increase the antioxidant and anti-inflammatory properties, such as turmerone and other potent alkaloids, so focusing on curcumin alone may not be enough. Many experts we talked to said that curcumin itself is far more effective (bioavailable, which means usable by your body) if you take it with black pepper or the alkaloid responsible for its pungency, piperine. Some supplements come complete with piperine, but if you’re simply cooking with turmeric, add some black pepper. There are also supplements (such as Terry Naturally’s CuraMed) that use other components of the turmeric root (namely, turmerone, an essential oil found in turmeric) so you get the benefit of the plant that is absorbed better without taking the whole supplement, which you may not need. For best results, experts recommend picking a turmeric brand that features a high concentration of curcuminiods and that also contains piperine. While taking any turmeric supplement may be A-OK, it’s better if you look closely at its ingredients to make sure your body will be able to actually use what you take.